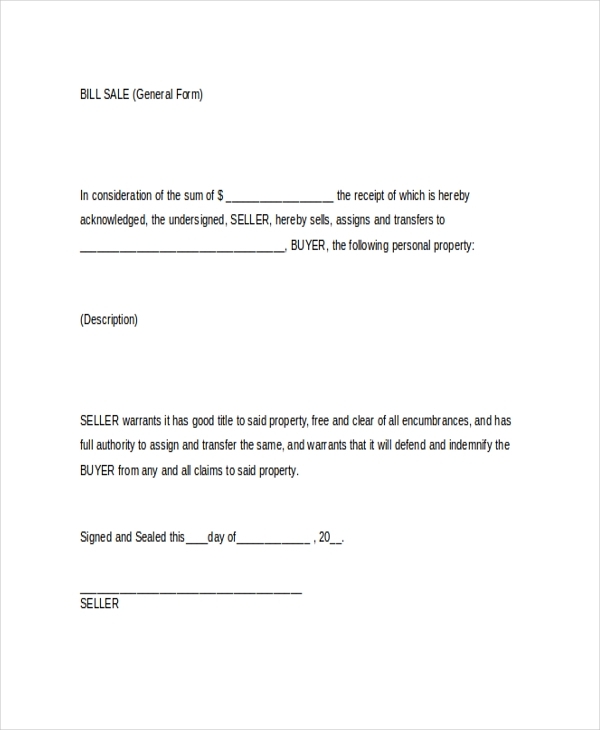 A bill of sale form is a transaction document that transfers the ownership of goods from a willing seller to a possible buyer. An individual can only use this document if they intend to transfer the ownership of goods they legally own. By issuing a bill of sale, you recognize that the new buyer will have the full rights to possess the movable tangible goods as long as they like and that you cannot claim the rights of these goods after transferring their ownership rights to another party. 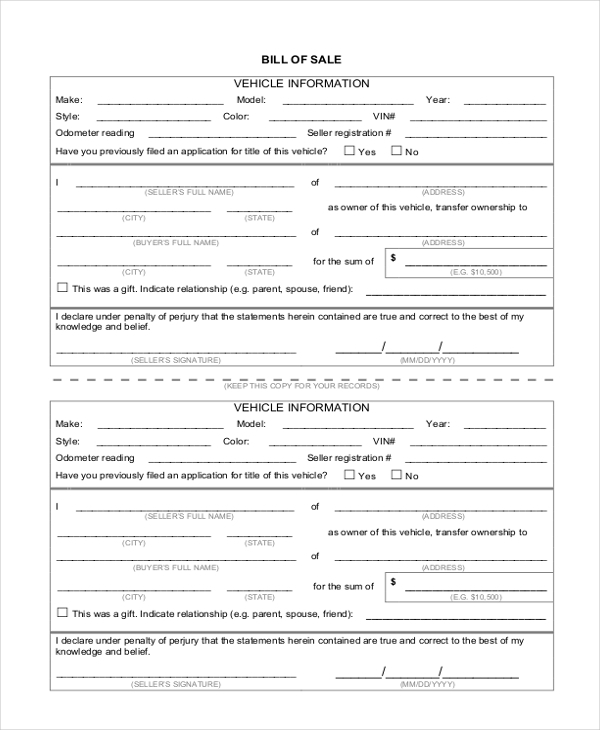 The auto bill of sale is a significant document, which conveys your willingness to transfer the title and ownership rights of your car to a new buyer. 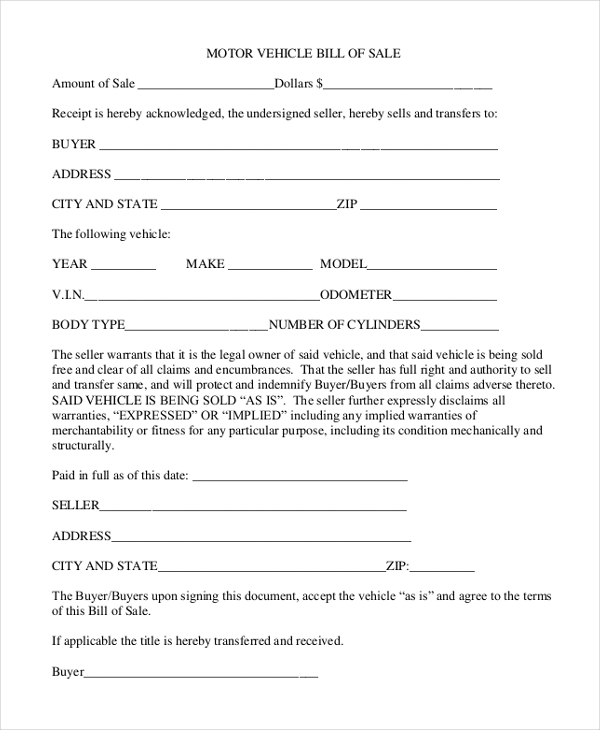 You must present the document to a new buyer before they agree to purchase the vehicle. If you would like to sell your car, you must be willing to forego all the right of ownership of the item. To transfer the ownership rights to a different party, you will need to fill out the blank bill of sale form. 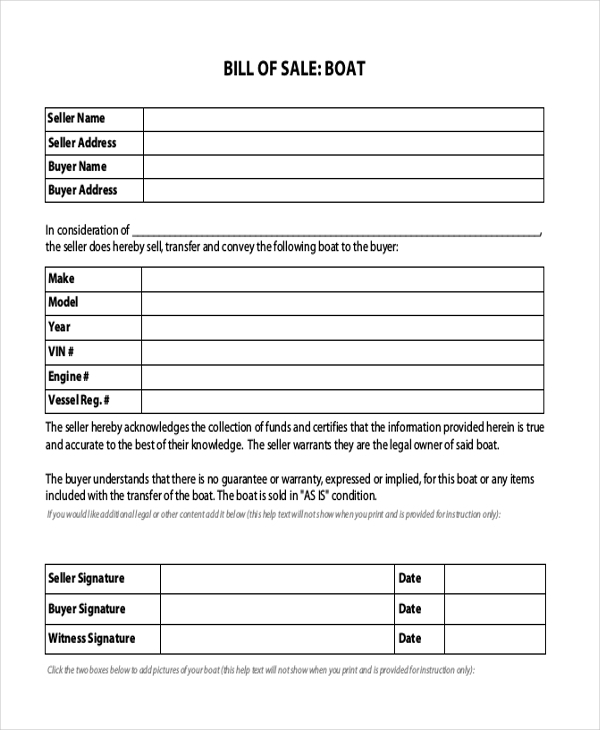 Whether you want to sell a new boat to a willing buyer or you intend to give the boat away as a gift to a person or a group thereof, you must present a boat bill of sale during the exchange. Selling your business requires much more than just receiving cash from a willing buyer and signing a non-disclosure agreement. 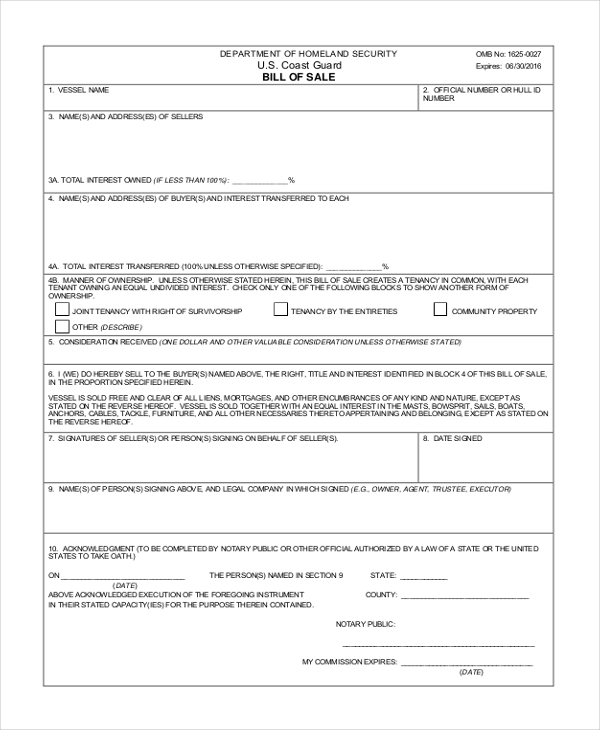 You need to use this form to provide a bill of sale for business, too. The form is easy to fill out. The basic bill of sale is a simple document that lets you convey your willingness to transfer the ownership of whatever property you own. 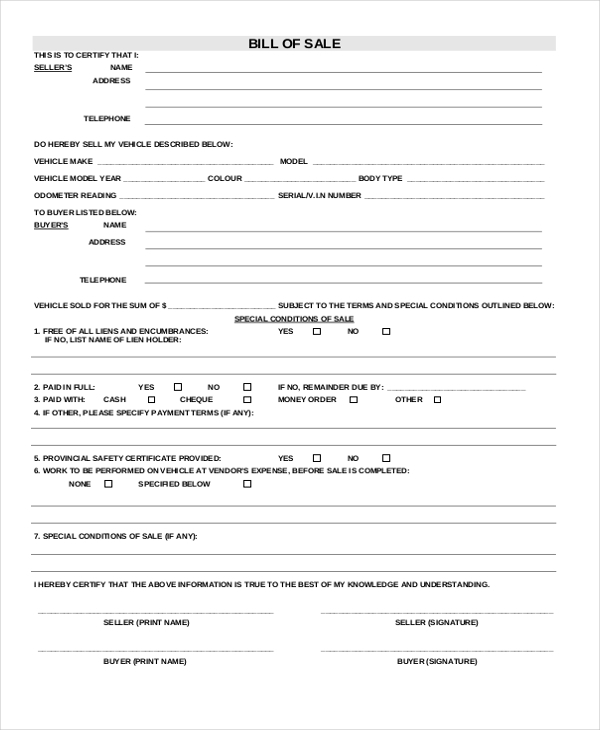 The form is easy to fill, so it should not take you long to get the file ready. There is more to selling a car than just exchanging the vehicle with cash or bank check. 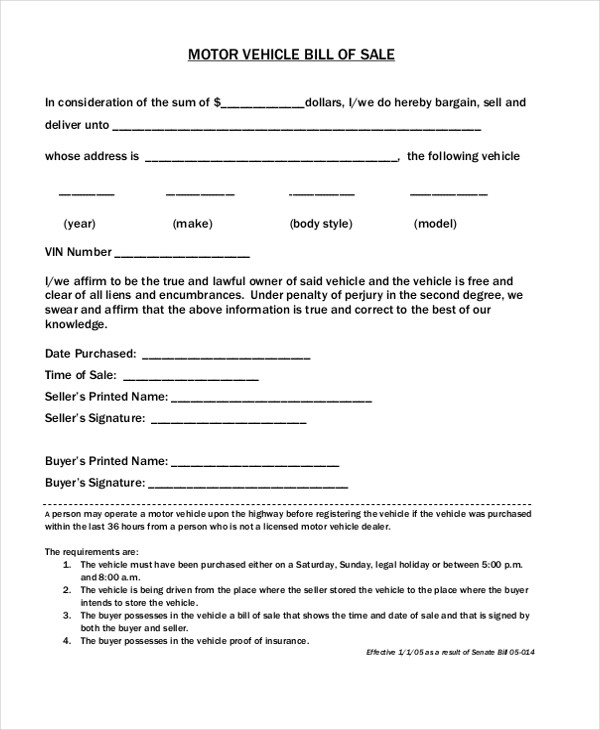 The buyer will also demand a signed car bill of sale to signify your willingness to transfer the ownership of goods to the seller. 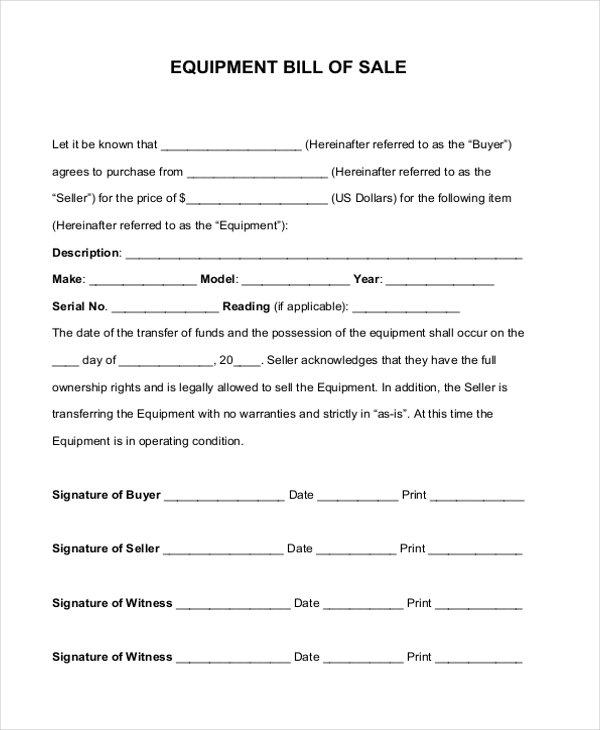 Many people prefer to buy equipment to hiring them, which means you must issue them a bill of sale for equipment before they can pay for the goods. 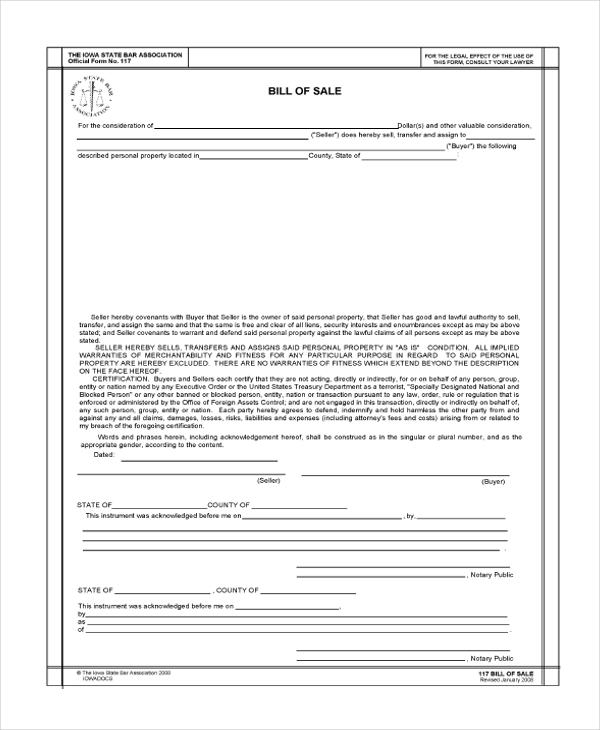 The form below can help you present a professional bill of sale. Whether you are a business owner selling movable goods or a sales agent selling on behalf of a company, you must issue a general bill of sale to a buyer before they initiate payment for the goods. Use this form for help. No matter how you love your horse, it will never have rights over it once you sell it. To seal the deal by being sure that you are willing to transfer the ownership rights of the horse to a new buyer, you should fill out and issue a bill of sale for the horse. Before a buyer expresses his or her interest in a car on sale, the first thing they will want to know is whether you are willing to issue a bill of sale to a willing buyer. 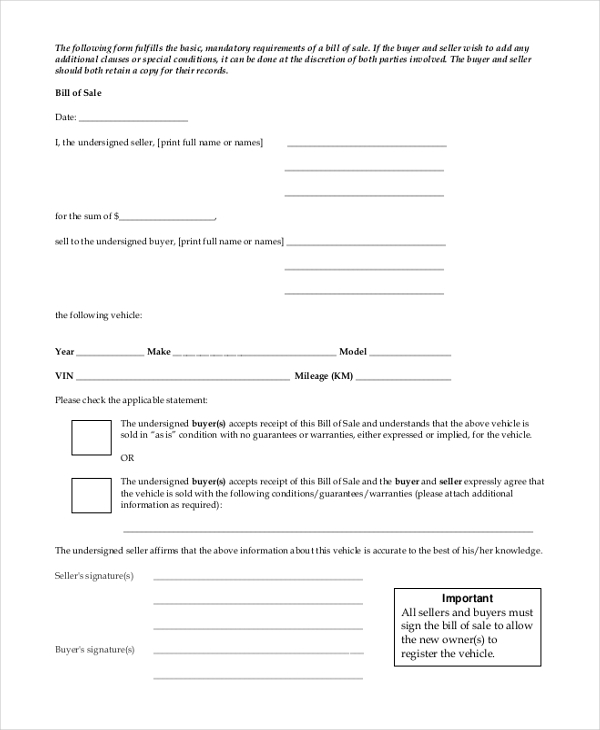 Because this document is necessary, use the following form to prepare the file. A property bill of sale is a document describing the nature of property under bid or specific sale. It is the document used to convey the willingness and ability to forego the property by transferring the ownership rights to a potential buyer. If you are not willing to fill out, sign, and issue a bill of sale for real estate, it is difficult to find a buyer who will buy your home. 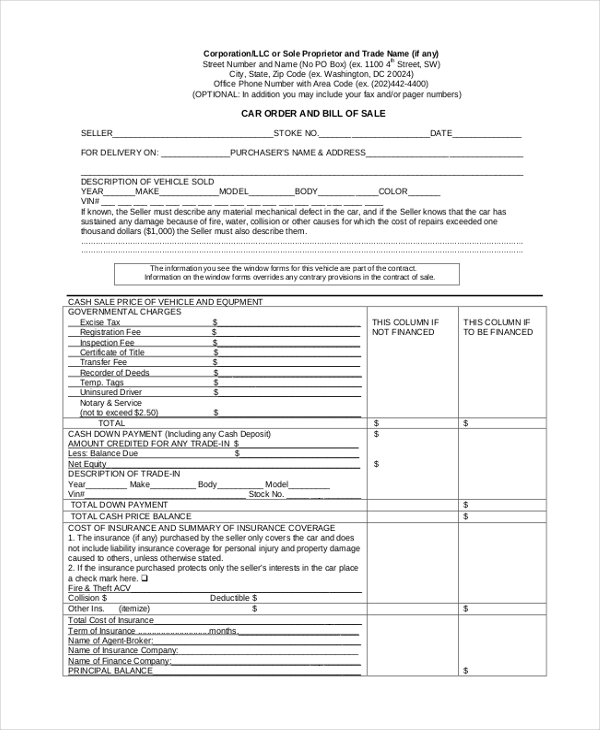 Since the only way to sell the home is by issuing a bill of sale, you can use this form to do so. The purpose of a standard bill of sale form is to convey your willingness and ability to forego movable goods in exchange for money. 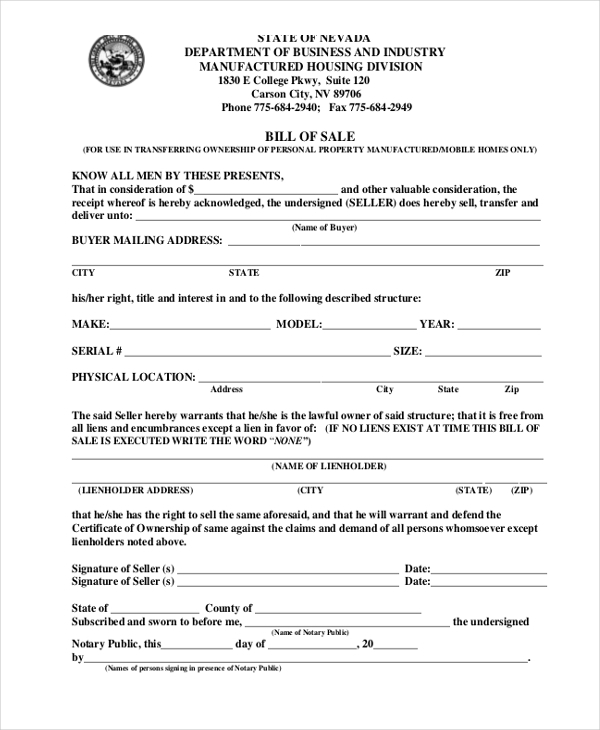 A buyer wants to see this document and ask to own the original copy before they can pay for the goods you want to sell. It is important to prepare a bill of sale for an item before you meet with the target buyer. The customer in question will not buy the goods if you are not willing to transfer all the ownership rights. 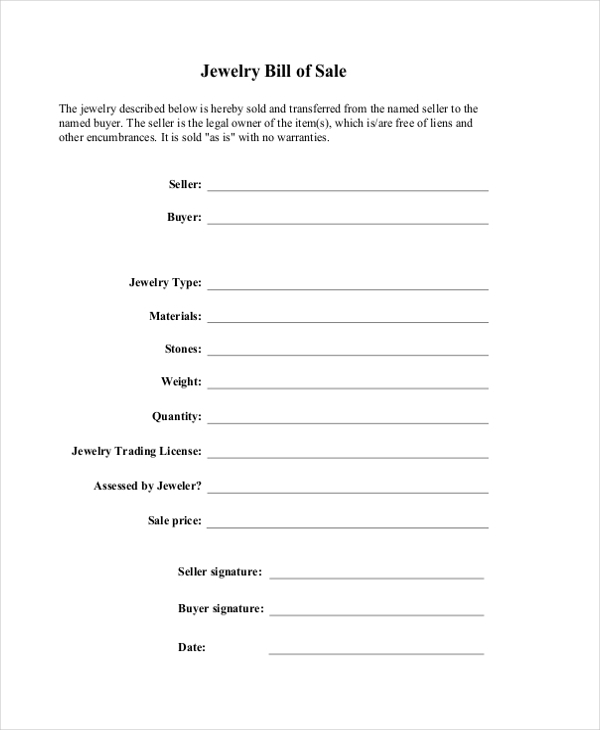 Use the form below to prepare a sample bill of sale. 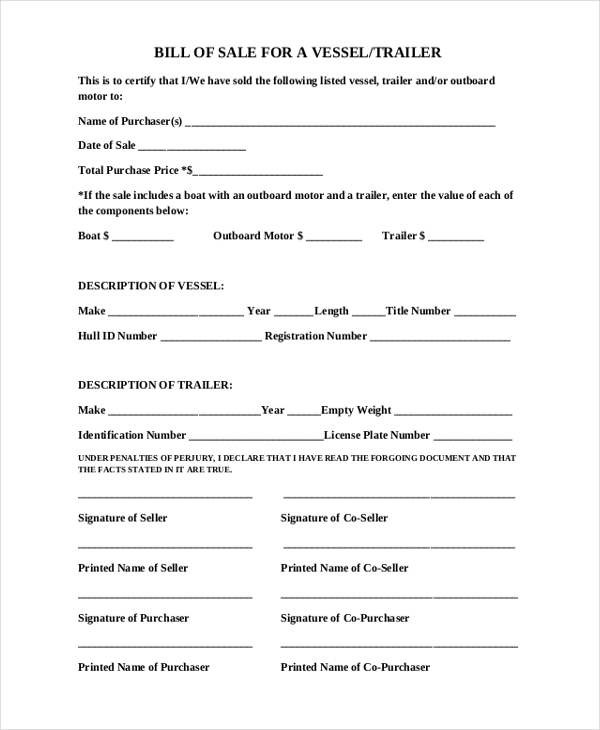 If you intend to sell your trailer to a willing buyer, you must be willing to issue a trailer bill of sale. At the end of the day, the buyer will ask for the file, so it is important to prepare the document before you meet with the potential customer. Once you sell your truck, you can never get it back. You must sell the ownership rights, too. No buyer will be willing to take the risk of buying the truck if you cannot give him the rights of ownership. When you fill out and issue a bill of sale form to a willing buyer, you are simply telling them that they have all the ownership rights of the property in question. 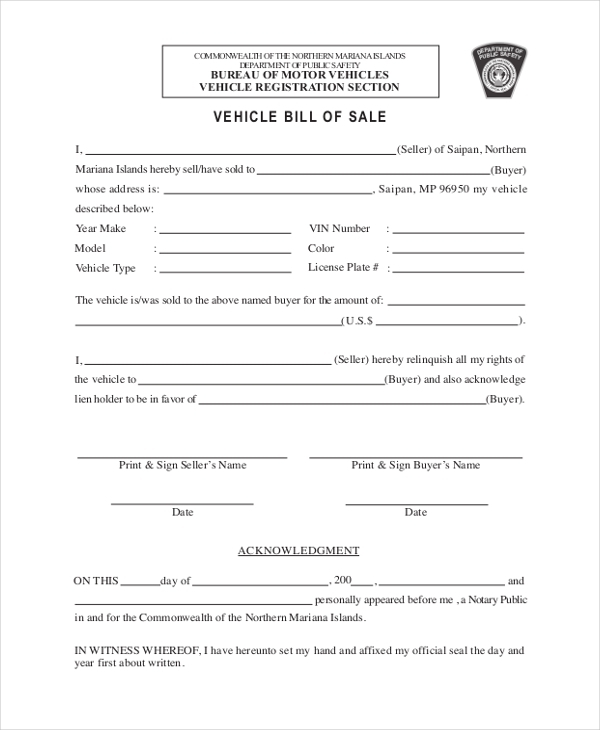 A vehicle bill of sale template is free to download. 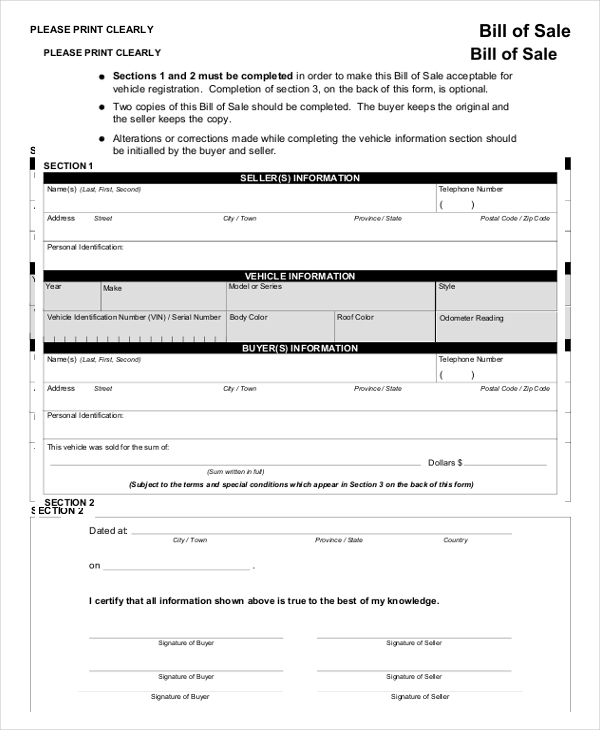 Instead of spending a lot of time on your computer try to get the document done, you can use this sample form to fill out a bill of sale. You can only sell a gun if you are willing to transfer its ownership rights. 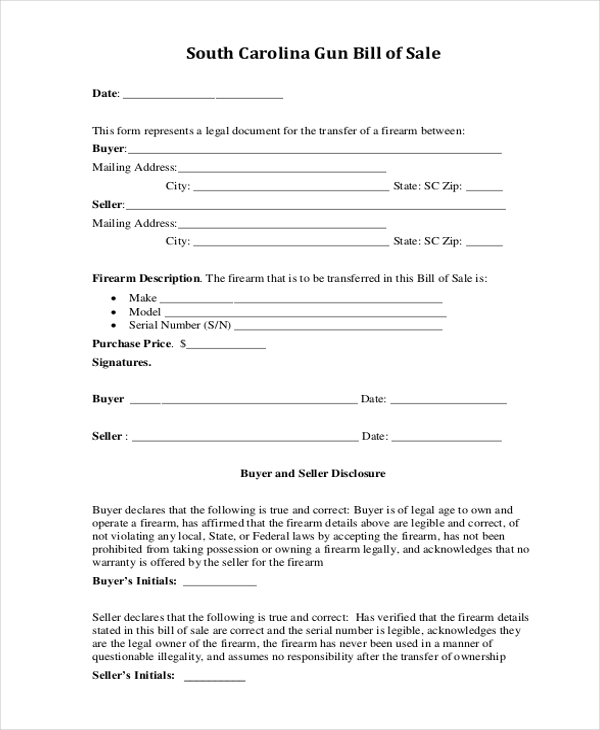 To assure the interested buyer that they have the full rights to the gun, you should sign a bill of sale for guns. Jewels are precious items; people who buy them will demand a bill of sale because they intend to keep the ownership rights of the items. 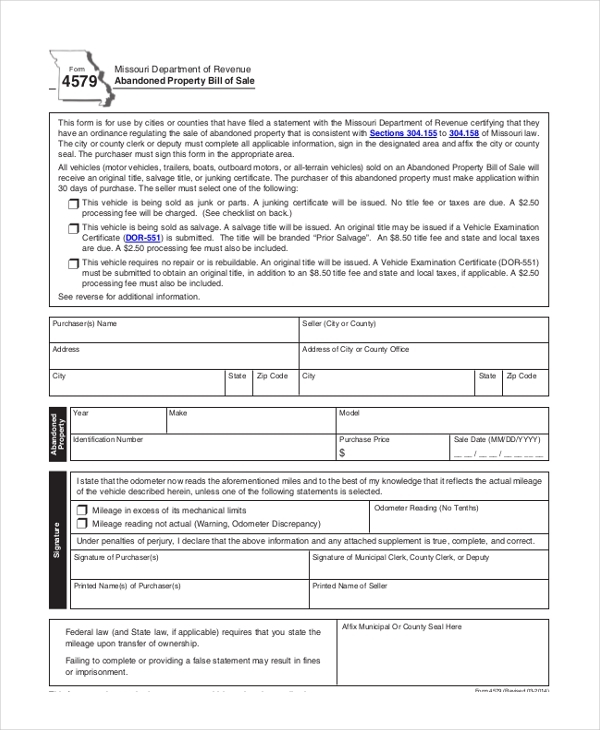 You can fill out, sign, and issue this form to the willing buyer. 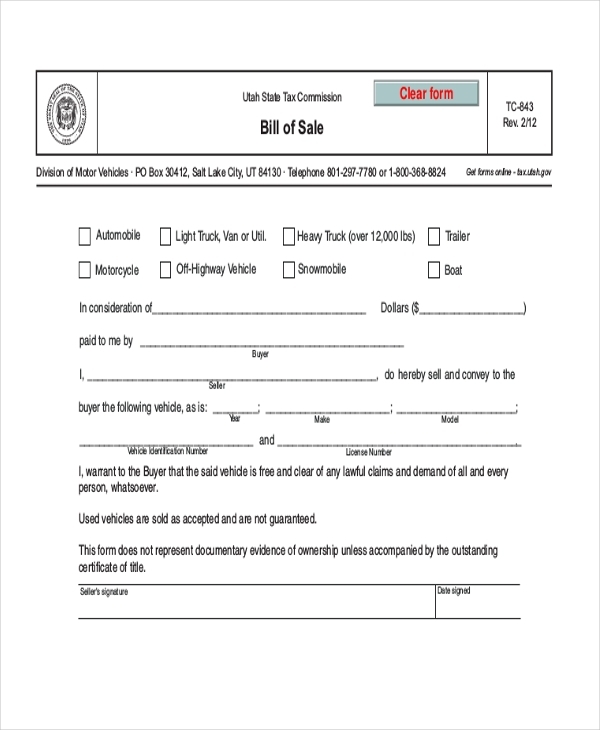 What Does a Bill of Sale Form Look Like? Before you sell any durable goods, you must understand that one of the significant questions a willing buyer is likely to ask you are about a bill of sale. 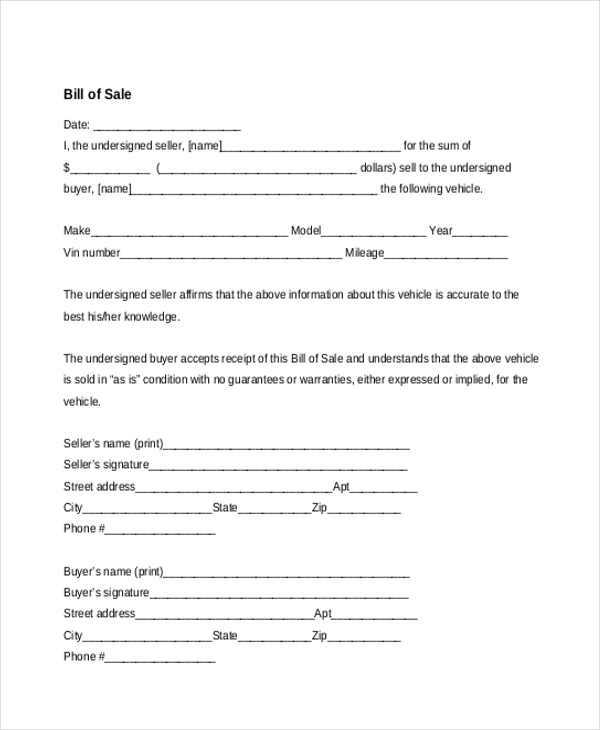 A bill of sale is an important document because it acts as the means by which a willing buyer can judge your willingness to sell your goods for the agreed price. It also shows your ability to transfer the ownership rights to the purchaser. 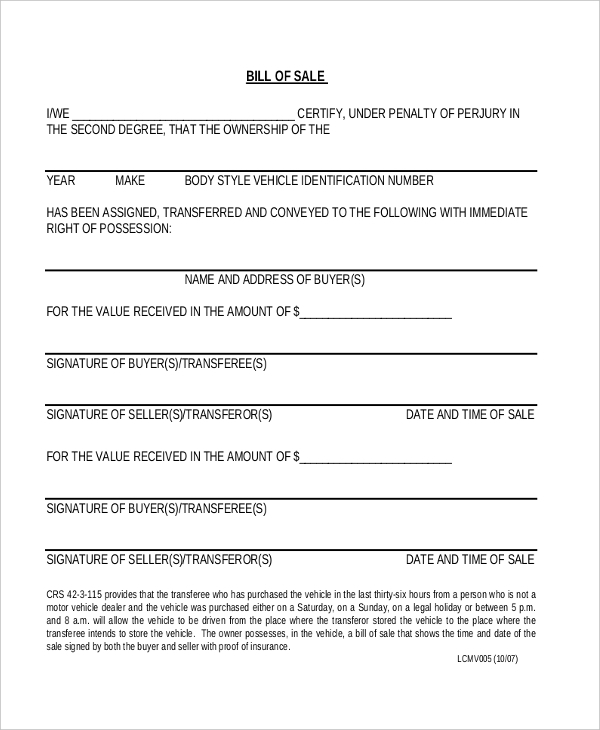 A bill of sale can act as proof of agreement for the sale of an item and its ownership rights in the case of a dispute. Who Should use a Bill of Sale Form? 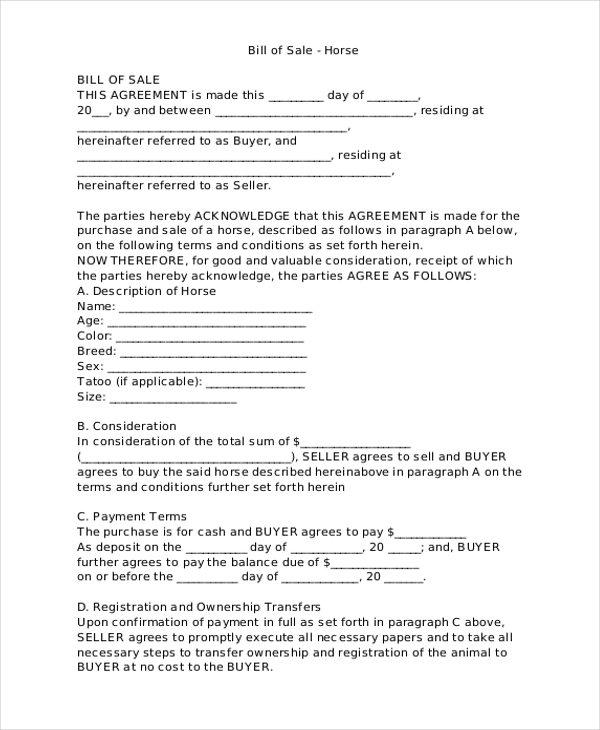 A bill of sale document requires the participation of two people: a possible seller and a willing buyer. The customer expresses their interest in buying an item, the seller provides the product plus the bill of sale, and then the two parties sign the deal. If necessary, the seller and the buyer can close the deal in the presence of a witness. There are many sample forms available for free download. Therefore, there is no real reason why you should create a printable bill of sale template from scratch. At the end of the day, you are able to not only close a great business deal but also you save a lot of your time.